This is Why, This question is really important. Please, Do comment so i can focus on what my friends are looking for? BOOTICE is a very popular and very small utility (377 KB) comes with most important features, and here is a list of some important features which can we perform using Bootice..
#01. we can make a boot-able USB using BOOTICE without any extra application. #02. we can fix the booting problem of any PC, as i most cases booting problem are related to wrong boot-manager or wrong boot-sector code or wrong active/boot-flag partition of your Hard Drive. 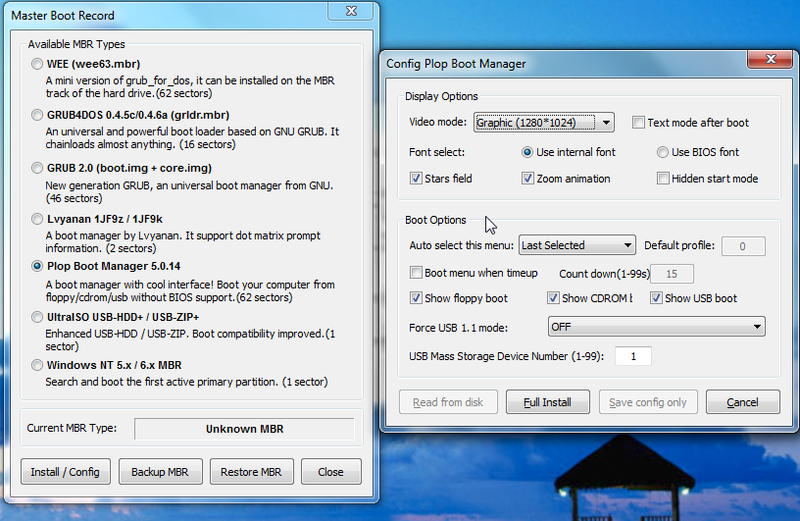 #03. we can change the Master Boot record codes as well as the Partition Boot record codes using the Bootice. 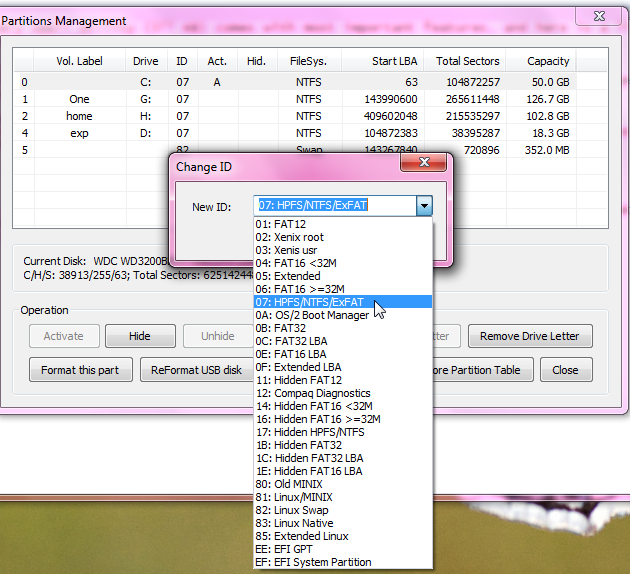 important feature so that you can backup and restore MBR data to your physical disk in a file. 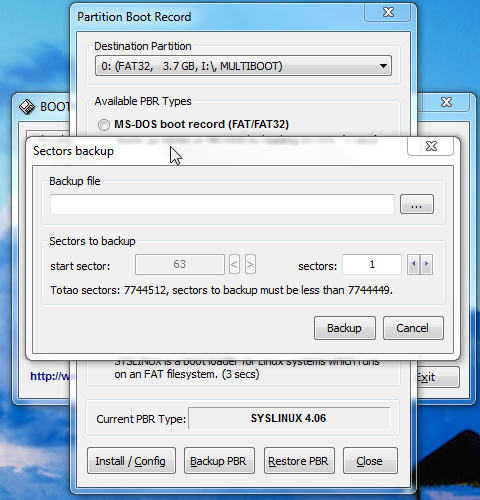 selected partition, you can backup and restore PBR to your physical disk. #04. we can make a multi-partition USB, either to make FAKE USB or to make a multi-part boot-able USB or to protect our important data from virus to hide that into other partition of that USB drive. external as well as internal hard drive. may call it as BOOT FLAG. Format this part; format only selected partition of your physical disk. Reformat USB disk; means if are interested to create a new partition table onto your physical disk,or to change file-system of different partitions. 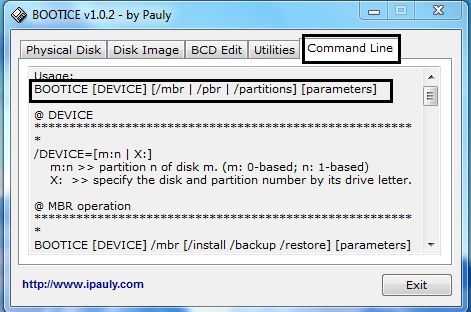 than you must think about disk partitioning tools such as Easy-us partition manager. #05. we can also edit the sector of any Physical drive as well as the Virtual Drive. #06. we can HIDE the partition so that that partition will not be automatically mounted in windows. #07. 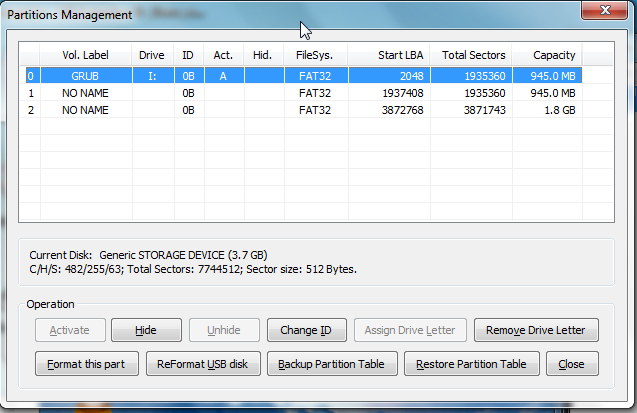 Assigning a Drive letter to a particular partition and removing a drive letter. Note- if you already hide a partition than you do not need to remove the drive letter of any partition , because a Hide partition will not be visible in the "MY Computer" of windows. #08. formatting a Particular partition of USB/Hard Drive as well as you can format the whole USB/Hard Drive, because By default in windows you can format only a particular partition of USB Drive. #09. 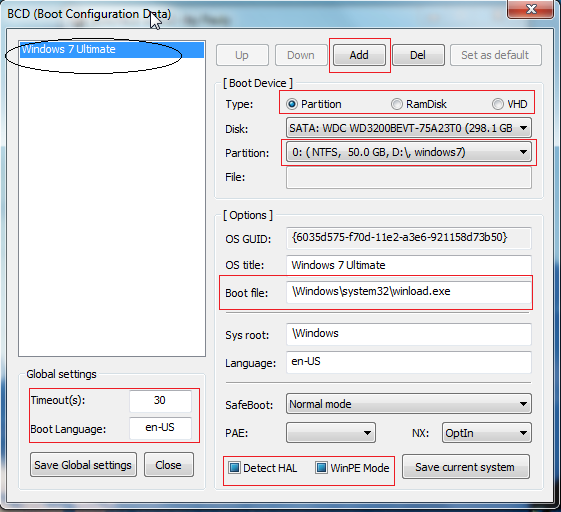 In case if you are working with a multi-partition USB than By Default in windows you can only mount the first primary partition of USB Drive., But using Bootice you can mount/assign a drive letter to all primary partition of USB Drive, but at a time you can mount only One partition of USB Drive. 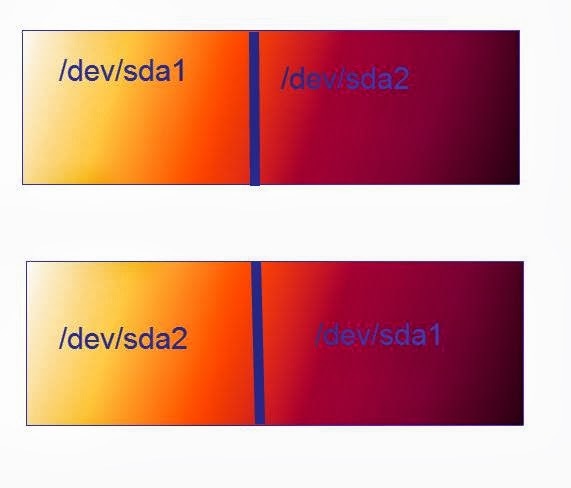 Note- Actually here Bootice edit some codes in partition table so that your First primary partition will be second Primary and so on..
" IF WE WANT TO CHANGE /dev/sda1 TO /dev/sda2 WITHOUT AFFECTING THE POSITION OF YOUR PARTITION THAT YOU CAN USE BOOTICE AND SWAP BETWEEN THESE PARTITIONS. here is a simple image to explain this note..
#10. we can also activate a particular partition of USB Drive, how this feature is important, actually windows can only will be booted from a activated partition. If your windows partition ( where you have install windows ) is not activated than you can not boot windows. In Linux language this is defined as Boot-flag. #11. We can also perform some action like Backup/Restore Partition Table of any Physical and Virtual Drive. NOTE- Do Not PLAY with option until you do not know what you are doing, otherwise you have to format your USB Drive. 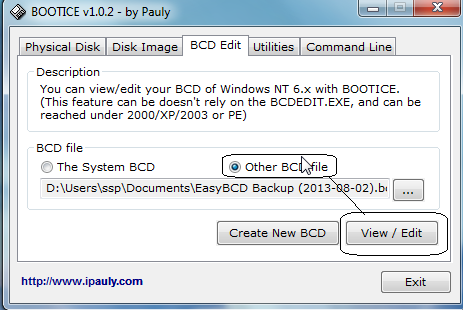 We can also EDIT the BCD Configuration file of your windows computer using Bootice. 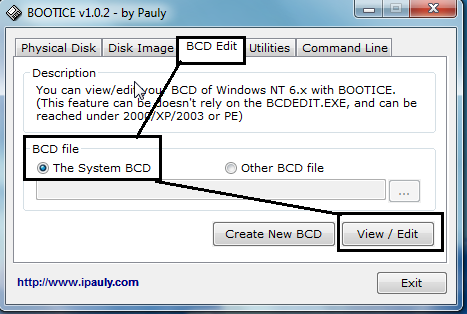 there are two ways to do this job..
## In first way you can view/edit the BCD store of your system. ## In second way, you can create a new blank BCD store and you can add boot menu as much as you want or you can remove unwanted boot entry from BCD store. #14. we can use bootice as a command line software, because some times command line interface gives more power so that we can do our task on time or in a short time. 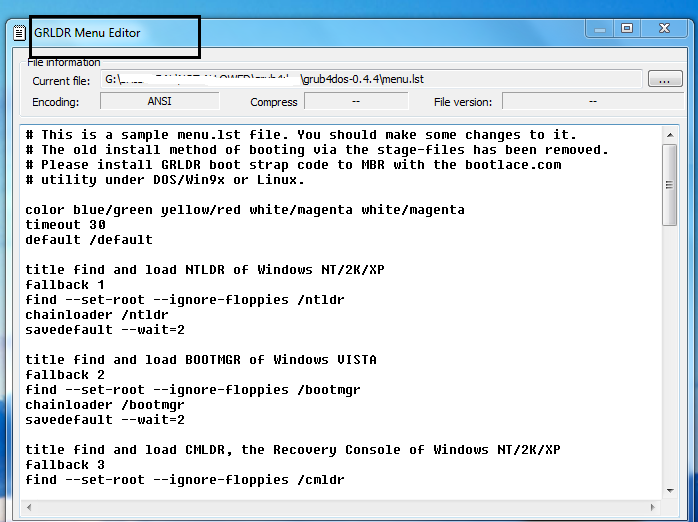 #15. we can edit GRUB4DOS configuration file, named as "menu.lst" using BOOTICE, actually it gives a nice interface if you want to edit grub4dos menu.lst file. Currently I am using BOOTICE, v-1.02 , as there are many bugs in the new version of BOOTICE-v-1.1.4 and it take some time to fix them by developer of BOOTICE. so I am happy with that old version of BOOTICE. you can download Bootice from HERE..